Chinese Catholics—“above” and “underground”—view themselves as part of “one suffering Catholic Church.” Will the Vatican’s present negotiations with China help or hinder those struggling to practice the Faith under a communist government? Not since the Boxer Uprising in 1900 has world media given as much attention to Christians in China as it has in recent weeks. One can barely keep up with the deluge of reports and articles, not to mention numerous works of punditry and commentary, attempting to explain the Vatican’s recent negotiations with China’s government. It brings to mind a warning from Marshall McLuhan, who once wrote: “All media exist to invest our lives with artificial perceptions and arbitrary values.”1 That is to say that media accounts, however necessary, are not always reliable sources of information, especially when they are laden with rumors and speculation. Only those who are in the private meetings in Rome with Pope Francis and his followers are entirely privy to what, precisely, is being discussed between the Holy See and China’s authorities. But what is certain is that negotiations are indeed underway, and that leaders of the Catholic Church are negotiating with a government that is communist and a state that has openly professed its aim to eradicate religious faith, having time and again persecuted Christians. Anyone who believes that China’s communist party has changed its attitudes and behaviors toward Christianity should pay closer attention to what has transpired over the past several months. Now is an appropriate time to provide some basic historical information about the Church in China, and to provide some remarks on the present Sino-Vatican negotiations between Beijing and the Holy See. Allow me to preface my comments with a disclaimer: I have spent many years of my life living in China, and I deeply love and admire the culture, history, and people I have encountered there. That said, I have sat on church doorsteps in Beijing and many other places listening to story after story of how much suffering the communist party has inflicted upon China’s Christian faithful. I once sat in a small room, which was probably wired by the state authorities, while a holy bishop whispered in my ear accounts of brutal persecution committed against Catholics in China, both during the Maoist era (1949-1976) and in recent decades. 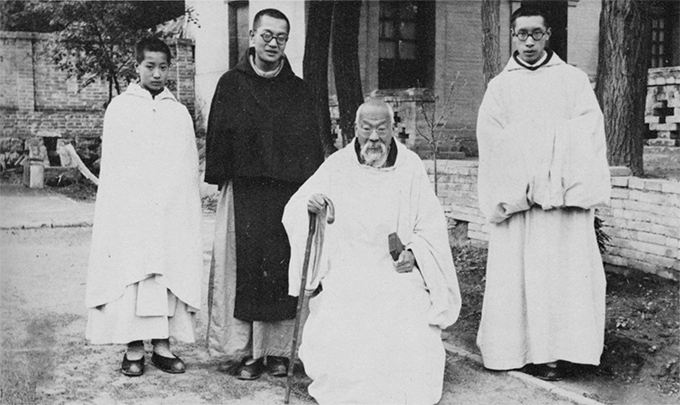 In 2013, I wrote an essay for Catholic World Report about how communist soldiers under the command of Chairman Mao Zedong’s (1893-1976) top general, Zhu De (1886-1976), seized a Trappist monastery in 1947 near Beijing, at an area called Yangjiaping. What I did not mention in that article was that some of the very men who took the monks on a death march, leading to the the deaths of 33 holy monks, stood near Chairman Mao at the gate of Tiananmen and founded the People’s Republic of China only two years later. Having taught Chinese history—especially the history of Christianity in China—for two decades, it has become evident to me that a simple timeline of China’s Catholic history can helpful for readers seeking to understand the issues that continue to define China’s Church. 635: According to a stone monument erected around Xi’an in AD 781, the Syrian missionary Alopen was the first Christian to arrive in China in AD 635; he was a monk of the Church of the East (Nestorian).2 These Eastern monks were later the competitors with Catholics in the field of Christian evangelization. 1368: The Yuan dynasty (1271-1368) collapses and Catholicism is forbidden in China. Thus, the Catholic Church disappears in East Asia. 1582: China’s most famous missionary, Matteo Ricci, SJ (1552-1610), inaugurates the Jesuit mission during the end of the Ming dynasty (1368-1644). Ricci published several popular Chinese books to promote Catholicism in China, the most famous of which was his Tianzhu shiyi, or the “True Meaning of the Lord of Heaven,” which he published in 1603. 1685: The first Chinese priest, Gregory Luo Wenzao, OP (1616-1691), is consecrated a Roman Catholic bishop in China. 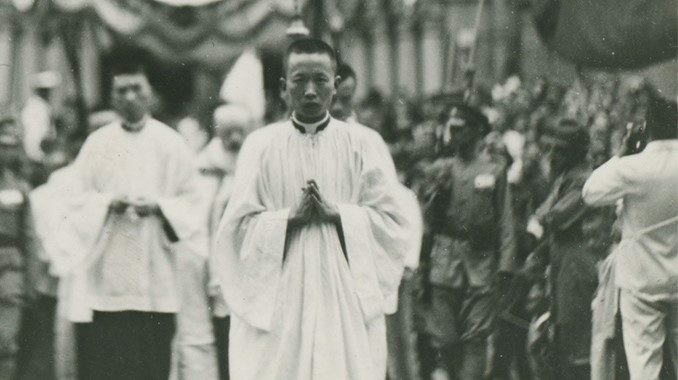 It was not until 1926 that other Chinese priests were consecrated bishops. 1706-1723: Emperor Kangxi retracts his support of Catholicism because of the Catholic debates over whether the traditional Chinese rites may be allowed for Christians. Most Roman Catholic missionaries are expelled from China. 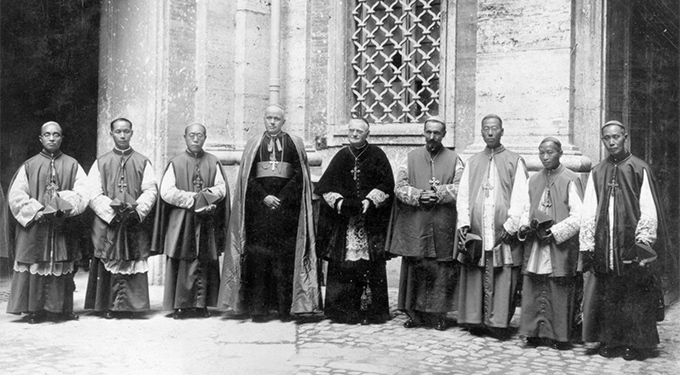 1926: As China’s missionary bishops would not agree to consecrate Chinese bishops, Pope Pius XI (1867-1939) invites six Chinese priests to Rome and ordains them himself in St. Peter’s Basilica.6 Additional vicariates were then created in China that were administered by these Chinese bishops and Chinese clergy. 1949: Chairman Mao Zedong announces the founding of the People’s Republic of China on October 1, 1949 before a massive crowd assembled at Tiananmen. There are approximately three million Chinese Catholics and one million Protestants who are forced to accept this new regime based upon atheistic communism. 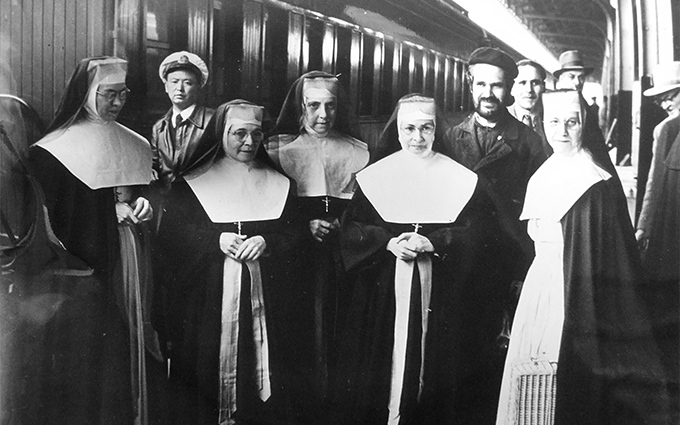 Non-Chinese Catholic priests and sisters on the day of their exile from China in 1953. 1954: 138 Chinese Protestant leaders issue a document entitled “The Christian Manifesto,” which inaugurated the “Three-Self Patriotic Movement” (TSPM). This established the so-called “Three-Selfs” model for Chinese Christians: self-governance, self-support, and self-propagation. One of the founders of this movement was Pastor Y. T. Wu (Wu Yaozong, 1893-1979), who sought to harmonize Christianity with Mao Zedong and the communist party. 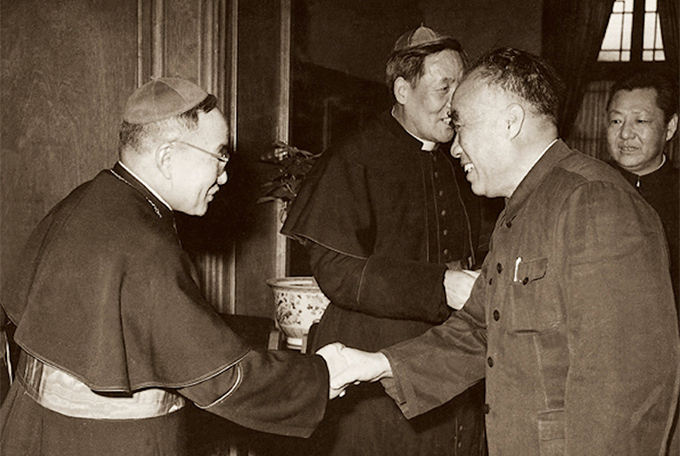 1957: The People’s Republic of China establishes the Chinese Catholic Patriotic Association (CCPA) along similar contours of the Protestant-founded TSPM. In response, Pope Pius XII (1876-1958) issued his encyclical, Ad Apostolorum Principis, on July 29, 1958, in which he condemned the activities of the CCPA and declared bishops who participated in consecrating new bishops selected by the CCPA to be excommunicated. 1966-1976: The Cultural Revolution is orchestrated by Chairman Mao Zedong, and Catholic priests, nuns, faithful, and churches are attacked by communist youth called “Red Guards.” Churches are gutted of their religious symbolism, seized by the government, and refurbished for secular uses. Unknown thousands of Catholics are imprisoned, executed, or sent to labor camps. 1981: China’s officials remove the requirement for Chinese Catholics to swear independence from Rome and the Holy See, though the pope is only allowed to be viewed by Chinese Catholics as a “spiritual leader” who has no administrative authority over the Chinese Church. 1982: Including the pope’s name in the Canon of Holy Mass is allowed after decades of being illegal in China. 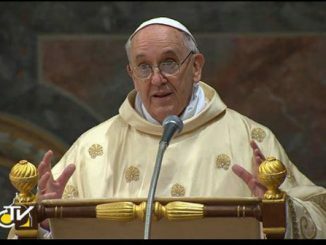 Until this year Chinese priests normally mentioned the pope’s name silently, as they offered Mass according to the 1962 missal and intoned the Canon silently while facing liturgical east. 1994: The state passes the “Regulations Concerning Places of Religious Worship,” which requires all places of worship to be registered with the government. It is impossible to assess exactly how many Catholics there are in China, since there remains a very large number of unregistered “underground” faithful; scholars estimate that unregistered Chinese Catholics account for one-third to two-thirds of the total population of Catholics actively attending Mass in the People’s Republic of China. According to the Holy Spirit Study Center in Hong Kong, there are approximately 12 million Catholics in China, which includes both registered and unregistered faithful. In informal scholarly meetings, however, estimates range from 10 to 30 million Catholics in China. Perhaps the most contentious issue today regarding the Church in China is the situation of its bishops; this is so because the state authorities have insisted that all priests eligible to be ordained bishops be selected by the party-run Chinese Catholic Patriotic Association (CCPA), rather than the pope. In China today there are around seven bishops who are not in communion with the pope, and are recognized only by the CCPA. There are around 60 bishops who are both in full communion with the Holy Father and are recognized by the CCPA. And finally, there are around 30 bishops who are recognized only by the Holy See, and operate as “underground” prelates in constant danger of arrest. I intentionally use the word “around” when providing these numbers, because precise accounts are difficult to arrive at due to the somewhat chaotic administrative structure of the Church in China. There were many bishops who were clandestinely consecrated during the Maoist era, for example, and the Holy See was unable at that time to identify how many bishops existed in China, though their secret ordinations were considered both valid and licit since they were conducted under a state of ecclesial emergency. What this means is that the Vatican must rely on Chinese state numbers, which are unreliable, and “underground” numbers, which are dangerous to circulate, in order to assess the demographic landscape of the Chinese Church. This assumption has been disseminated for several decades, and it has served more to confuse than clarify the reality of one, but somewhat divided, Catholic Church in China. There is no such thing as a “state-run Catholic Church” in China; there is a state-monitored association, the CCPA, that was established to oversee how Catholics worship. The tension in China, if there is much tension at all nowadays, between the so-called “underground” and “aboveground” Catholic communities has not been about whether one community is more or less “Catholic” than the other, but rather around the question of “selling out” to state influence over the day-to-day operations of Catholic life—especially regarding the issue of how bishops are selected and ordained. Chinese Catholics view themselves as part of “one suffering Catholic Church” that is still working out how its two communities can come to an agreement about how to best practice the Catholic faith under a communist government. Few non-Chinese know that priests and bishops in many—perhaps most—Roman Catholic dioceses in China collaborate in the administration and evangelization of their regions. One example will serve to illustrate how this operates. 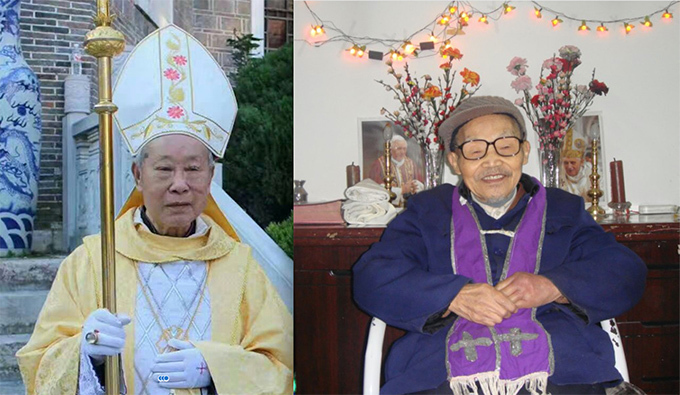 In the diocese of Guiyang, the state-recognized ordinary of the diocese was Andrew Wang Chongyi (1919-2017), who died last year as the administrator of the diocese at the age of 97. The unregistered, “underground” bishop during Wang’s service was Bishop Augustine Hu Daguo (1921-2011). When I met these two bishops—one “aboveground” and the other “underground”—I merely had to cross the hall at the bishops’ residence; both men lived in the same building and served their respective communities in a spirit of fraternal collaboration. In addition, it is common that the CCPA offices attached to diocesan chanceries or cathedrals are a diversion and are not used for any official Catholic business. CCPA offices are often identified with exterior signs, but those entering the front door discover that the interior space is merely a storage area. That is, the CCPA is in many places little more than a sign, and is essentially ignored by the bishop and his clergy. Even the CCPA office at the cathedral in Kunming, administered by the excommunicated bishop Joseph Ma Yinglin, is nothing more than a sign with an empty room inside. Again, it is important to know that the “line” between the sanctioned and unsanctioned Catholic communities is often nonexistent, and that even the state-run CCPA is often no more than a façade at the officially-sanctioned cathedrals of Roman Catholic dioceses. No one can doubt the sincerity of his sentiments towards this great culture, but one wonders, as does Cardinal Joseph Zen, if the Holy See’s present negotiations in China might be imprudent and, perhaps, might engender more pain and confusion than clarity and reconciliation. In other words, directing Bishops Peter Zhuang Jianjian and Joseph Guo Xijin to step down in obedience to two excommunicated bishops is to require Chinese Catholics to receive the sacraments from illicit prelates when licit ones are already serving the Catholic communities in their dioceses. This has caused both bewilderment and pain among the Chinese faithful, especially those who worship in the unregistered community. Many perceive what appears to be the Holy See’s betrayal of faithful Catholics. 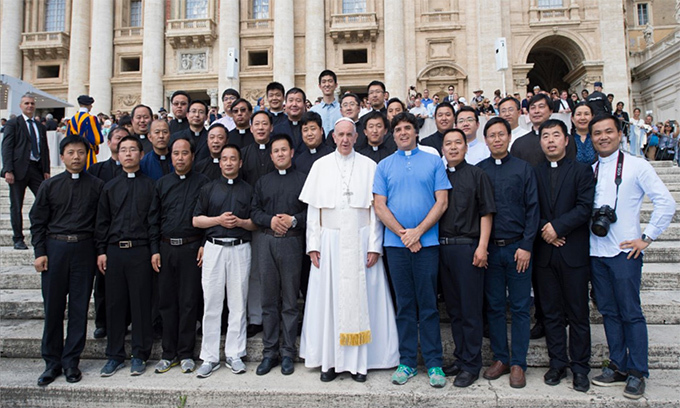 Pope Francis and Chinese clergy at St. Peter’s after a Wednesday general audience on May 10, 2017. 1 Marshall McLuhan, Understanding Media: The Extensions of Man (New York: McGraw-Hill, 1964), 199. 2 See Matteo Nicolini-Zani, Christian Monks on Chinese Soil: A History of Monastic Missions to China (Collegeville, MN: Liturgical Press, 2016), 48-50. 3 For a general history of the Franciscan mission to China see, Arnulf Camps, OFM, and Pat McCloskey, OFM, The Friars Minor in China (1294-1955) (Rome: General Curia, Order of Friars Minor, 1995). 4 Quoted in Don Alvin Pittman, Toward a Modern Chinese Buddhism: Taixu’s Reforms (Honolulu: University of Hawai’i Press, 2001), 35-36. 5 See Anthony E. Clark, Heaven in Conflict: Franciscans and the Boxer Uprising in China (Seattle: University of Washington Press, 2017). 6 See Pasquale M. d’ Elia, Catholic Native Episcopacy in China: Being an Outline of the Formation and Growth of the Chinese Catholic Clergy, 1300-1926 (Shanghai: Tusewei Print. Press, 1927). 7 See Paul Mariani, SJ, Church Militant: Bishop Kung and Catholic Resistance in Communist Shanghai (Cambridge, MA: Harvard University Press, 2011). 8 See Anthony E. Clark, China’s Saints: Catholic Martyrdom During the Qing (1644-1911) (Bethlehem PA: Lehigh University Press/Rowman & Littlefield, 2011). 9 Sergio Ticozzi, “The Catholic Church and Sinicization,” Tripod, vol. 27, no. 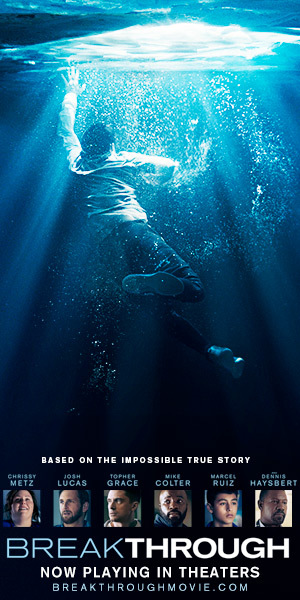 184 (Spring 2017). 10 “Church in China Has Religious Features Forcibly Demolished,” UCAnews, 1 March 2018. 11 Francesco Sisci interview with Pope Francis, “Pope Francis urges world not to fear China’s rise: AT exclusive,” Asia Times, 25 February 2016. 12 Pope Benedict XVI, “Letter to the Bishops, Priests, Consecrated Persons, and Lay Faithful of the Catholic Church in the People’s Republic of China, 27 May 2007, 10. Pope Leo XIII once wrote a letter to Catholic writers to desist from over flattery of the Church. Here is the syndrome again. The writer omits entirely the 19th century which would have given Catholic behaviour as reason (not exculpatory) of Boxer murders of Catholics and of SOME not all anti Catholic suspicions by communists in the 20th century. Pope Benedict’s letter to China had the same tone deaf omission of Catholic imperialism in the 19th century when it stated to China that the Church does not seek to control governments. That’s exactly what France, the diplomatic rep for Catholicism, did in spades as in the second Opium War in which it forced open all provinces to missionaries…and forced open China to opium..drug dealing from the British via India because otherwise British love of Chinese exports were draining silver from Britain. China was forced in that century to allow Bishops to use the Mandarin servant carried chair; her palace in the Forbidden city was ransacked by French and all others; Catholics had food and legal advantages in some areas because of China’s weakness via the Westerners’ superior guns. Pope Leo XIII meant well by his letter criticizing over flattery of the Church….but here it is in the above piece in an editing out of the 19th century and there it was again in Benedict’s letter to China on how the Church doesn’t seek control of governments. What in the world are you talking about, Mr. Bannon? I don’t think you understand the Chinese mind from the perspective of the faithful in that part of the world (and, yes, I’ve been there serving alongside missionaries and Chinese priests). Moreover, you seem to reflect another type of tone deafness: A liberal white guilt that is NEITHER capable of fully recognizing the rationalizing darkness of oppressive powers/ideologies in the more pertinent & pressing contemporary realities NOR the cleverness of the representatives of said powers/ideologies to find useful tools (unwitting confederates) among naive white liberals and banana theologians. I met a stunning traditional Chinese woman years ago in business and after knowing her some months in business, I called and asked her out. She said, ” No….but we think about it.” I was crestfallen. Next night she calls and says, ” Would you like to meet with me for dinner?”. I said to myself…this rythmn of interpersonal contact is new…and frankly kind of exciting. Most of my family is Chinese by marriage to her and none sound like you. You sound white to me and very western…perhaps you grew up in the US suburbs. Or perhaps you are a Catholic extremist white person posing on the internet as Chinese for the sake of cache. And yet….you do not dispute one thing I said. You are simply saying the past is over. I’m saying you don’t understand the past or the present if you do not understand the 19th century humiliation of China by the partly Christian West. The Chinese at the Olympics years ago who wore shirts saying “5000 Years”…were not your type of Chinese if you are Chinese in this internet world of many unknown faces and unknown identities really. 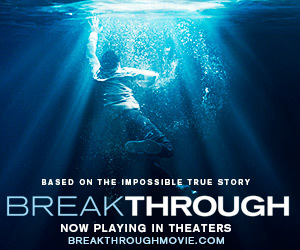 I’m saying you exaggerate the boxer murders by not giving the Christian sins that made them more probable. Most of my family is Chinese and none of them speak like you. 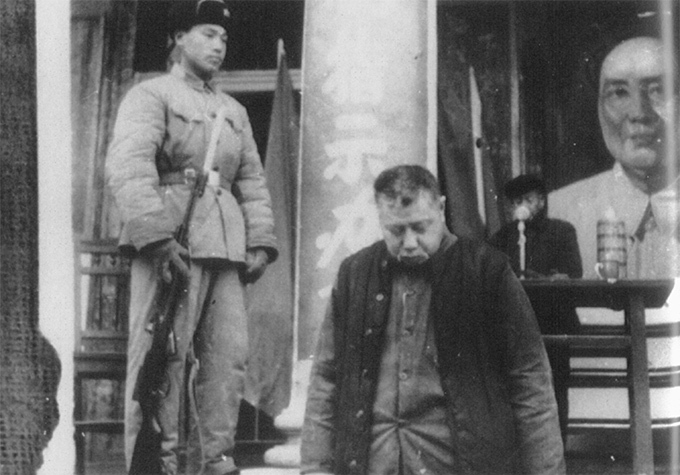 One in particular sees the 19th century as the humiliation of China by Western Christian nations. He heads finance for Amgen in Taiwan and graduated from Carnegie Mellon and Cornell….yet he studies kung fu as a ethnic pride thing. His Chinese cousins are from Wharton and NYU. None sound like you. And they’re grandparents fled to Taiwan as the enemies of communism. Do I think you are Chinese? Not really but it’s possible if you grew up in the suburban usa. It’s also possible that you are posing on the internet. That is a limitation of the medium called the internet. But your manner of writing and emoting is very basic white…in my humble opinion. Or you were raised by very non traditional Chinese. All that aside. I invite Catholic readers….Chinese or white to read in detail 19th century Chinese history especially if China is going to be used …used…to deflect from Catholicism’s own unsolved problems like possibly 34 gay priests now just in the Naples area. ps…communism is a control convenience in China not a deeply held anti relgion Marxism. That’s why Christianity is not banned there at all which they could do in a second. Beijing now has the highest number of billionaires for any city on earth and I am toying with the idea of marketing my moonlight coastal oil paintings there through my daughter in law. But just advertising them there will get them copied and sold as reproductions with no profit to me…which I can accept easily….but it might defeat the allure of the originals. I am Chinese and very proud that my parents and grandparents were quite traditional, particularly in their Confucianism. I have taught in a Chinese university and have known a good number of Chinese Catholics intellectuals and priests. It disturbs me how Westerners can spend decades living with Chinese and can still overestimate how well they understand the Chinese mind even if they know the language and feel comfortable in the culture. I know ABCs who have a better intuitive grasp of the Chinese mind than Westerners who have been missionaries for decades. You are right, that there is no disputing Western oppression of China and that the sting of past humiliation is not forgotten. Know, however, that Hong Kong Chinese, for example, were both proud of a return to Chinese sovereignty and realistically fearful of what Communist rule would bring. I was principally reacting, however, to your suggestion that Pope Benedict XVI was white-washing the past. It is a standard and part and parcel of the theological genre used in Church writing to state the ideal and the norm. Faithful Chinese Catholics as a whole welcome encouragement from prelates who care about them and are not interested in re-hashing what is already known and otherwise/elsewhere acknowledged. The remember but can let go. It is secularized Westerners who have a compulsive need for every speech to contain robust rounds of explicit breast-beating mea culpas for past misdeeds. The latter come across as fools who won’t allow the Chinese to let them save face for them. Good luck and blessings, though, on getting your oil paintings marketed and sold in China. Perhaps, as far as online sales are concerned, you can look into technological fixes that can protect against electronic copying. Good luck. You could be Chinese but you could be white because your first post opened and closed the same way posts from a perennial poster here writes. If you are Chinese, good luck. If you are white, two things stirred you….criticism of Benedict and the phrase ” British drug dealing”. There are two whites you could be but lets hope you are Chinese. Anyway, have a safe day. I’m living now, for some 20 last years in a birthplace of saint Marie-Adolphine Dierckx, who endured martyrdom and death, being beheaded by the Boxers 1900. Wonderful and informative article. Thank you, Professor Clark. Even if I am no less skeptical, at least I am better informed. This is a good article, particularly on the differences between the unofficial and the official church in China, and the Chinese Catholic Patriotic Association. It really does not do much, except help with charity work. The western media is making such a big deal out of the Vatican-China agreement, and so is Cardinal Zen. Normalizing relations mean just that — so that Chinese Catholics can live normal church lives. It is not some grand event with fireworks, like the Olympics, and people who try to exploit the situation for ulterior motives will be disappointed with how peaceful and normal things will be when the agreement is signed and life for the Catholic Church in China makes a new beginning. My wife’s family left China for Thailand in 1945 just ahead of the advancing communists. They have little desire today to visit the “new” China. President Xi may dress out better than Mao in his field uniform but there the difference ends. The above comment by Xue is quite accurate about Western understanding and I fear this attitude is represented in Rome today. 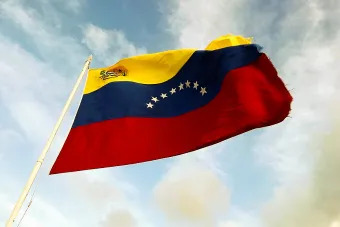 Cdl. Zen is also quite right to be apprehensive about the future. I dare say his view is much more accurate than the laughable comment by Linda Sun foreseeing a normal Catholic life in China. The government is already cracking down on the distribution of bibles and other religious literature on the grounds that not being distinctly Chinese, it is under foreign control and therefor forbidden. There is little to indicate any reasonable expectation for a normalized Church-State relationship as we understand it.